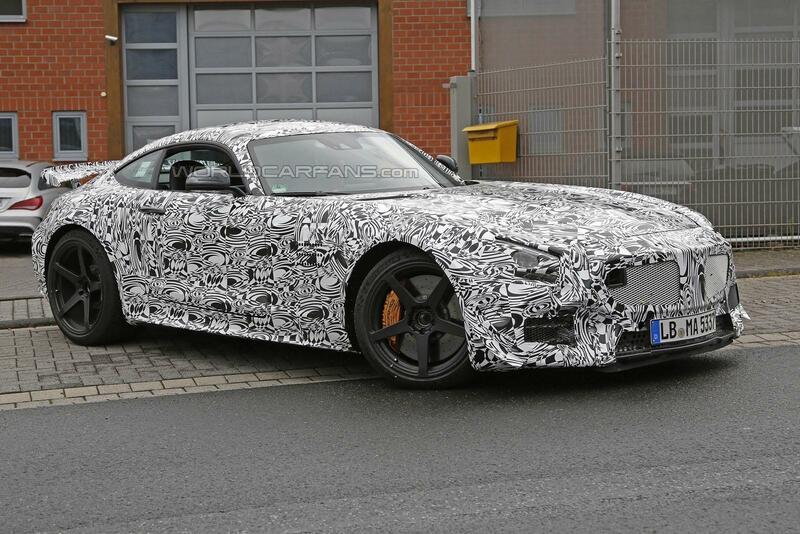 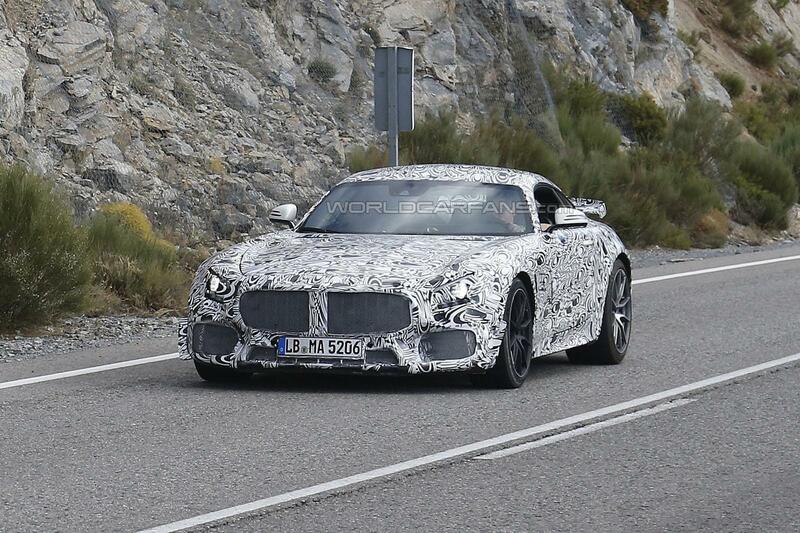 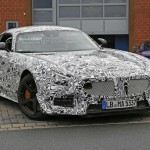 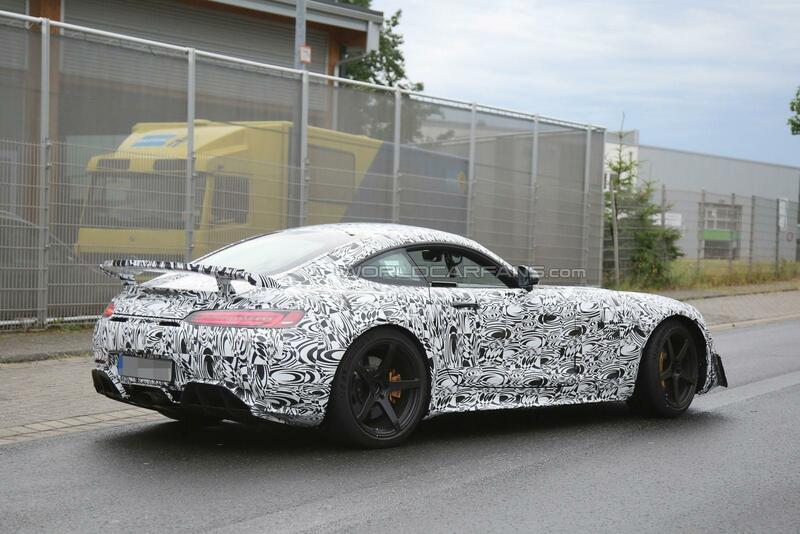 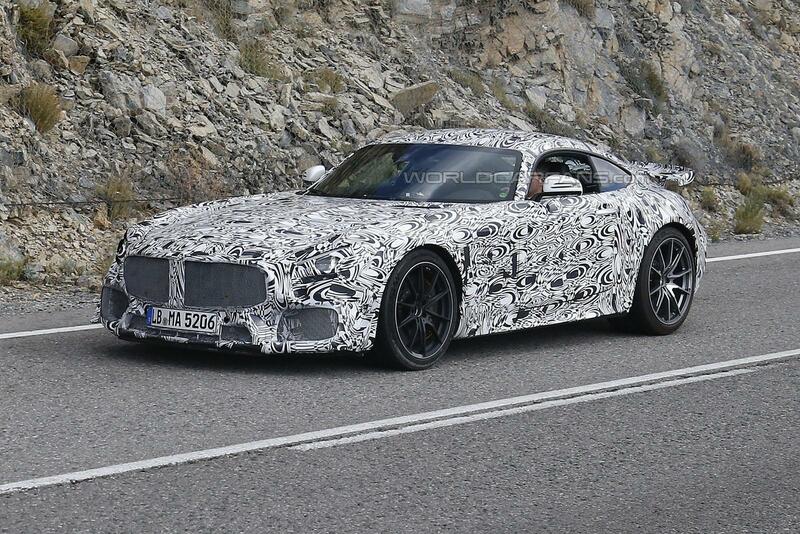 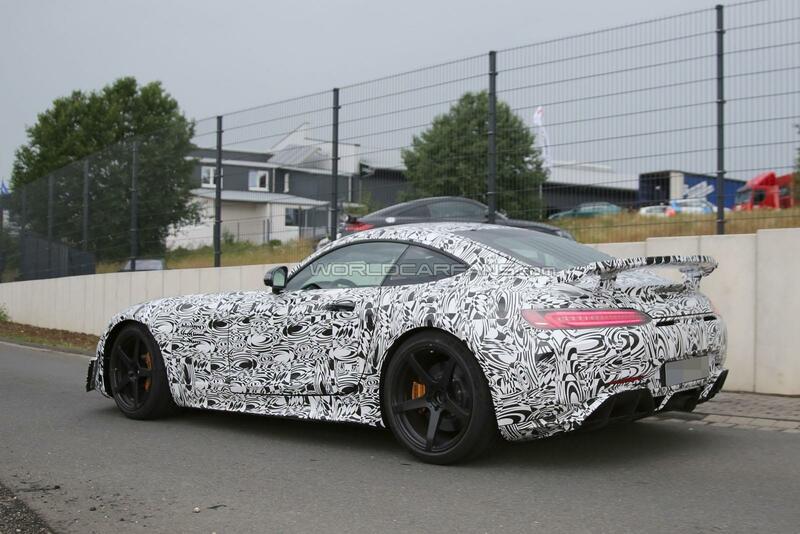 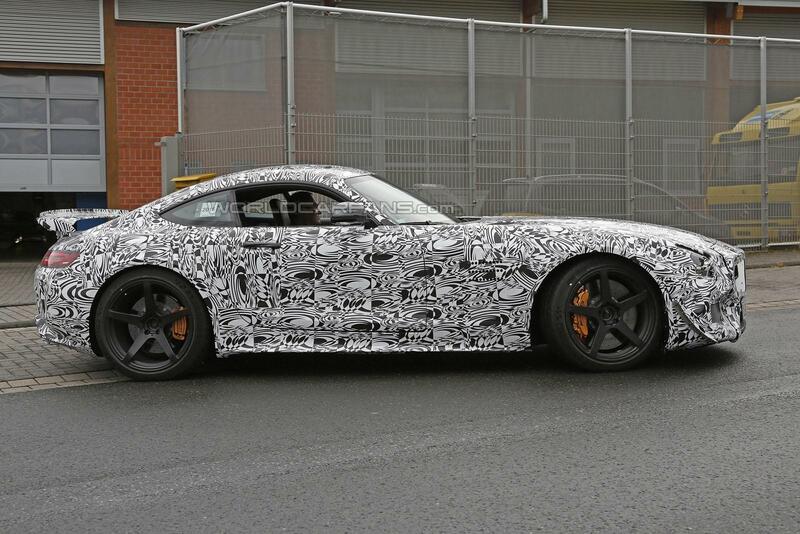 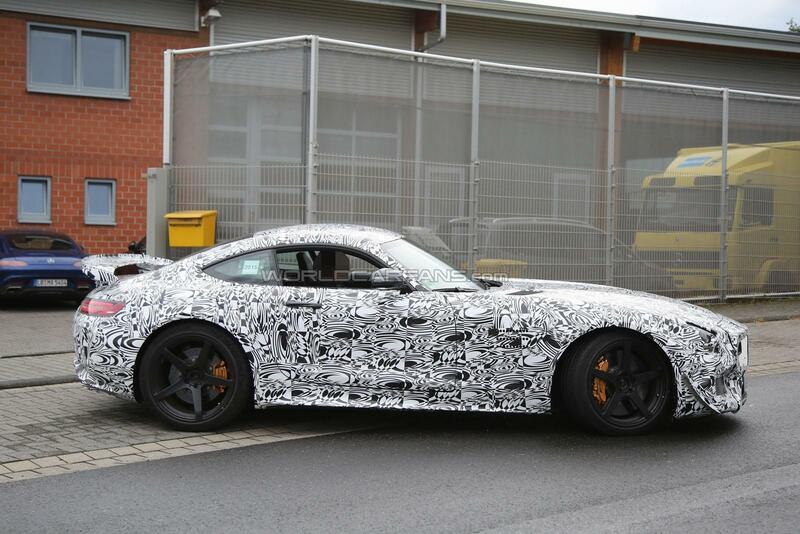 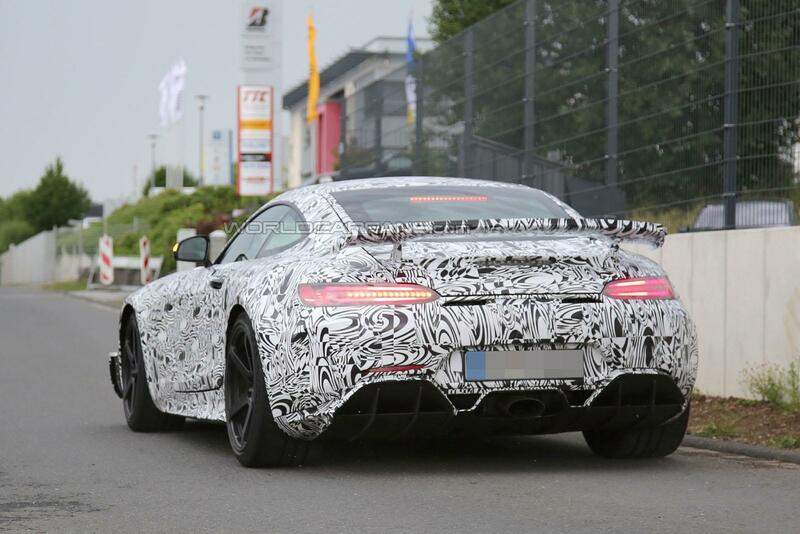 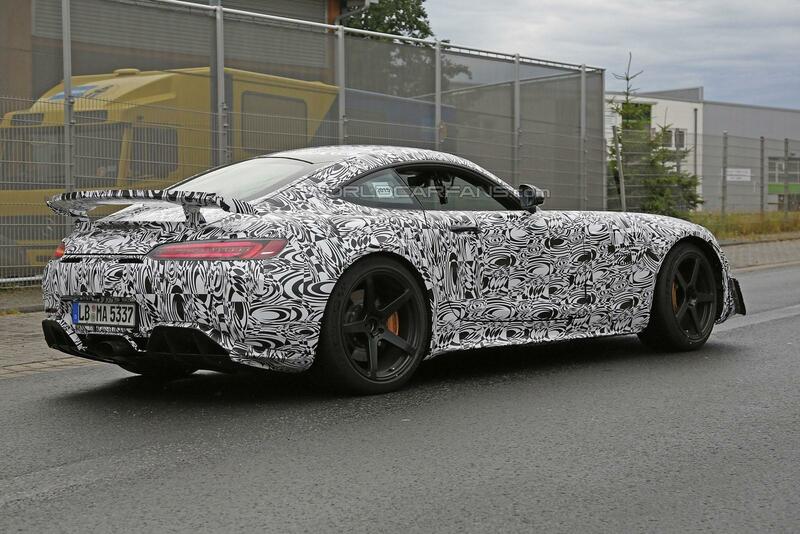 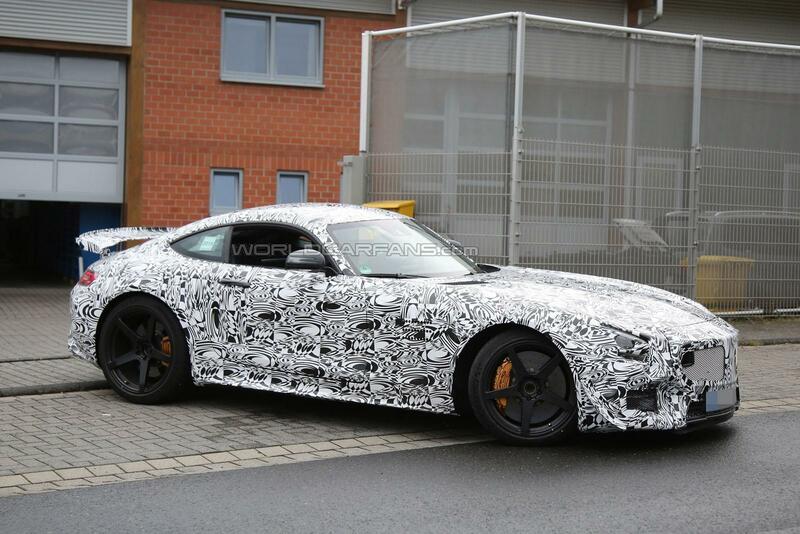 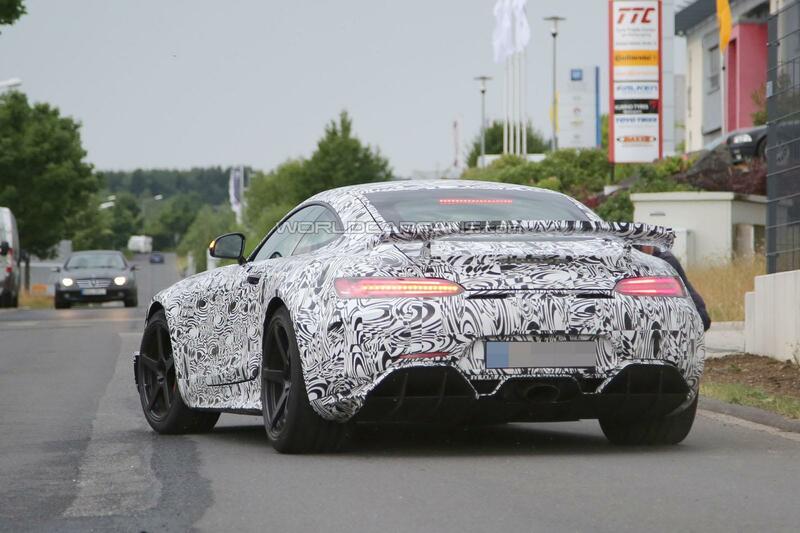 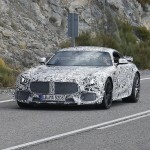 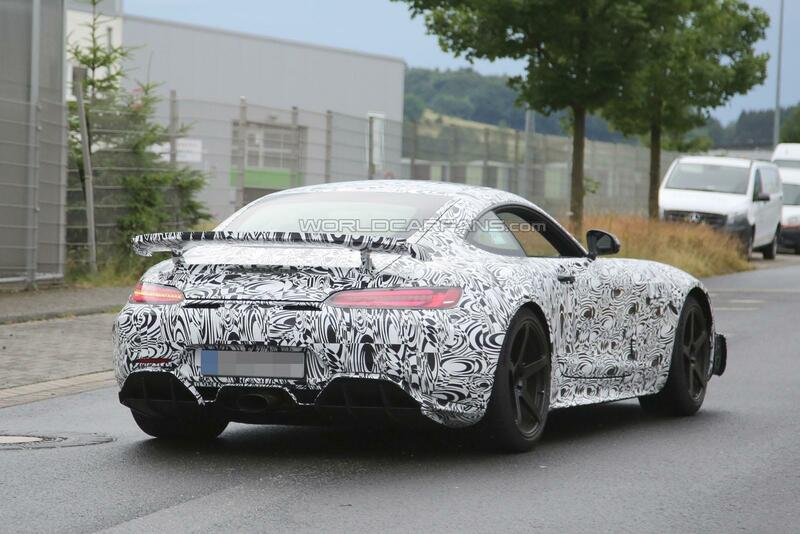 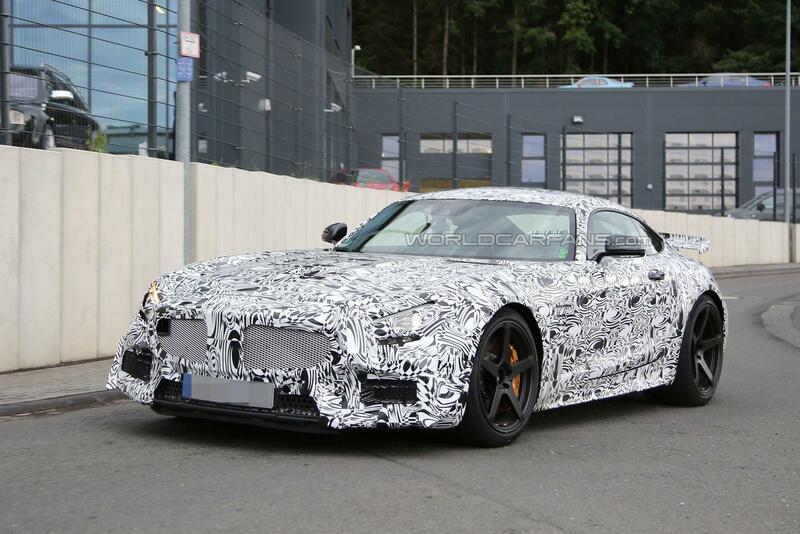 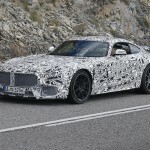 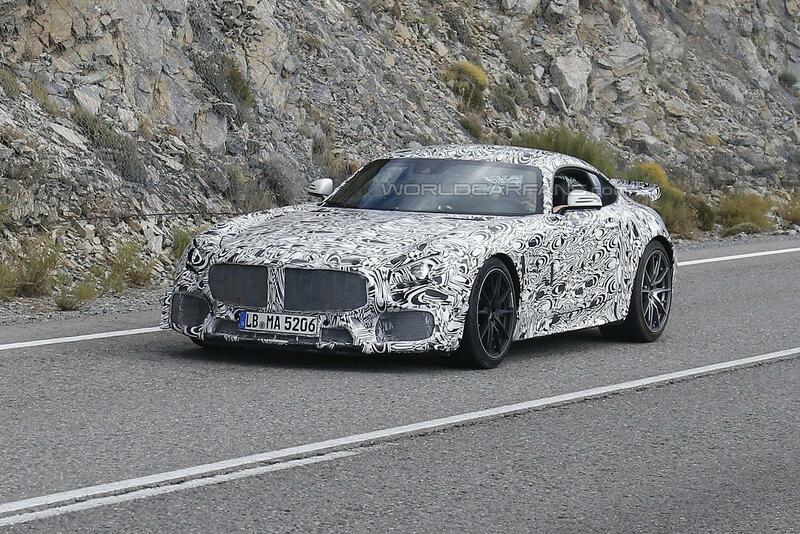 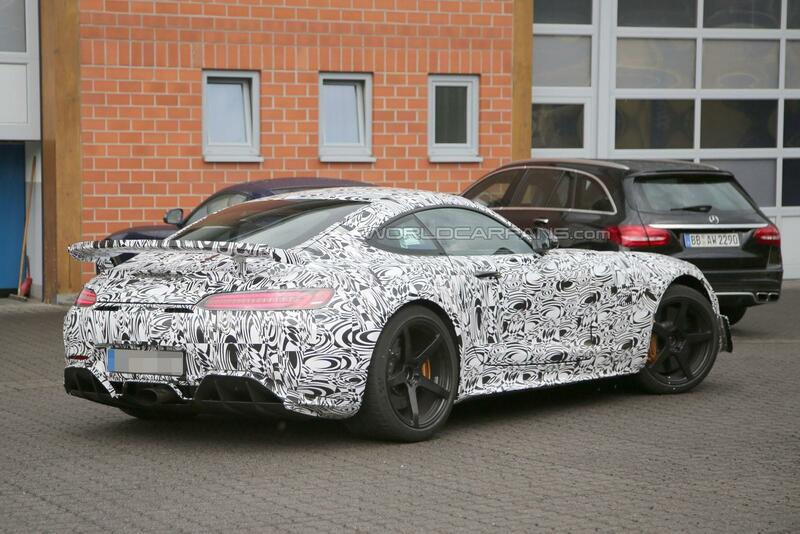 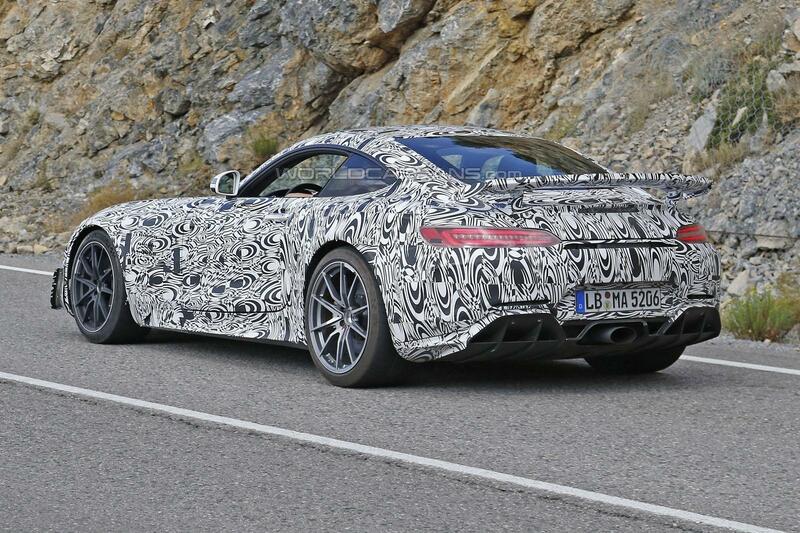 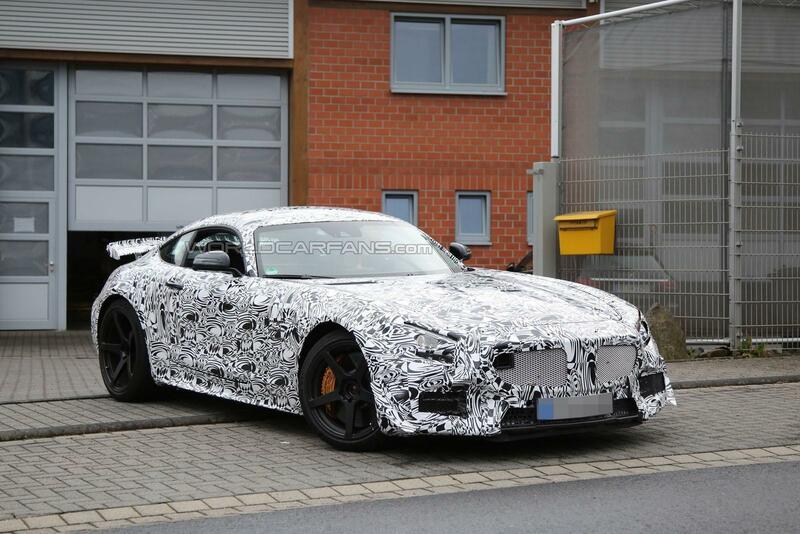 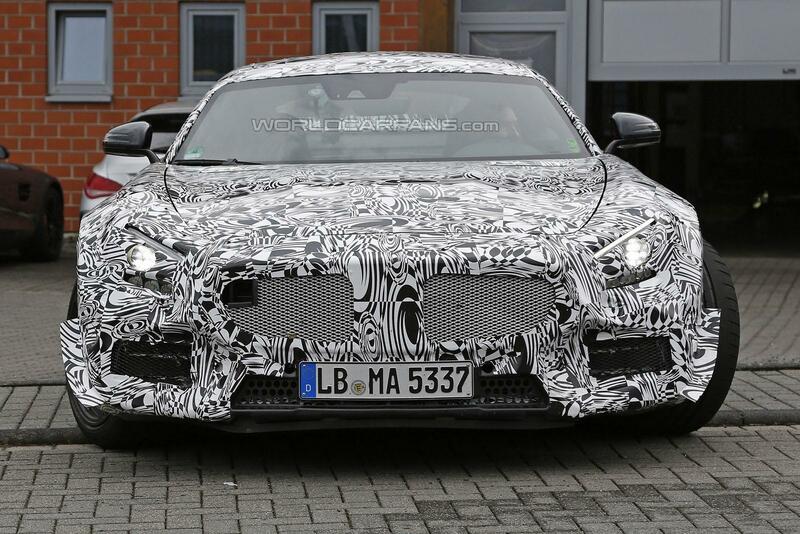 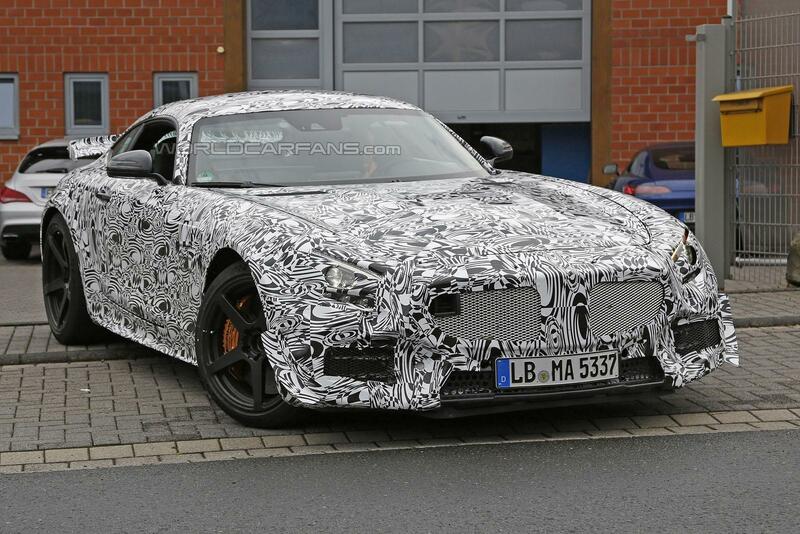 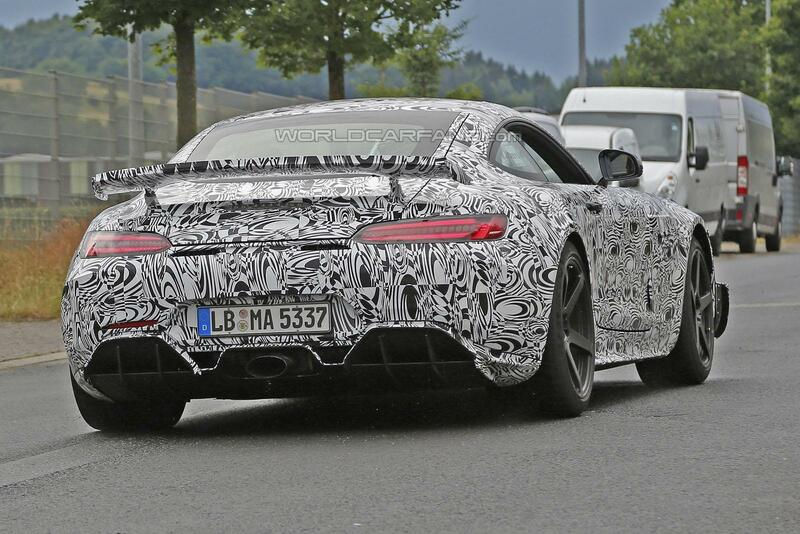 Mercedes-Benz is currently testing out the AMG GT R version, which is set to be unleashed at the end of 2016. 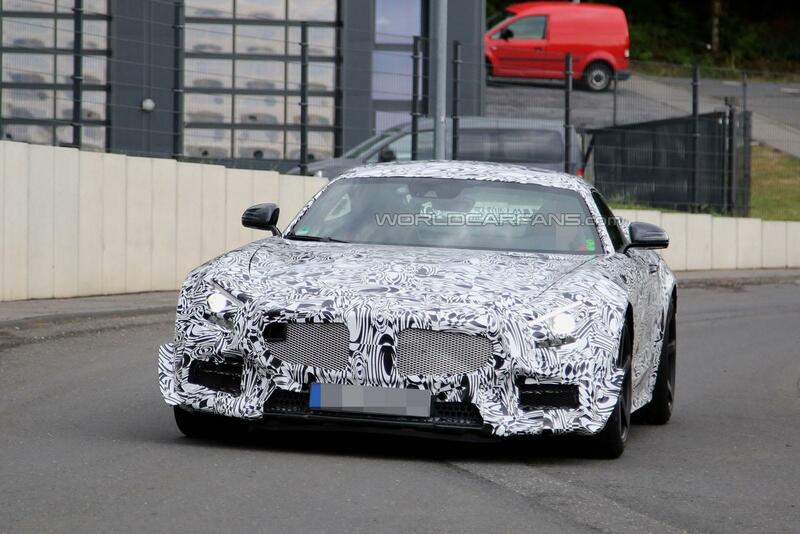 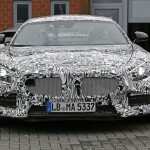 The spy shots with the upocming model were provided courtesy to worldcarfans auto magazine. 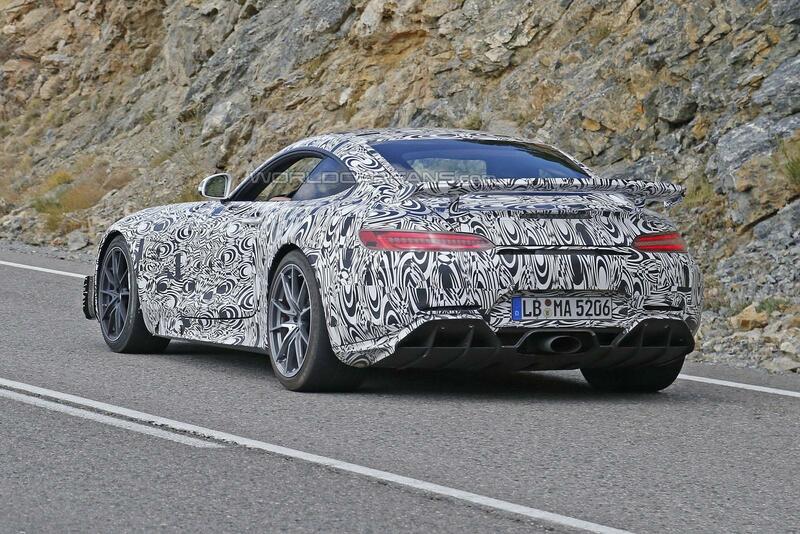 We are dealing here with a more powerful version than the current AMG GT, the model also shedding some weight off. 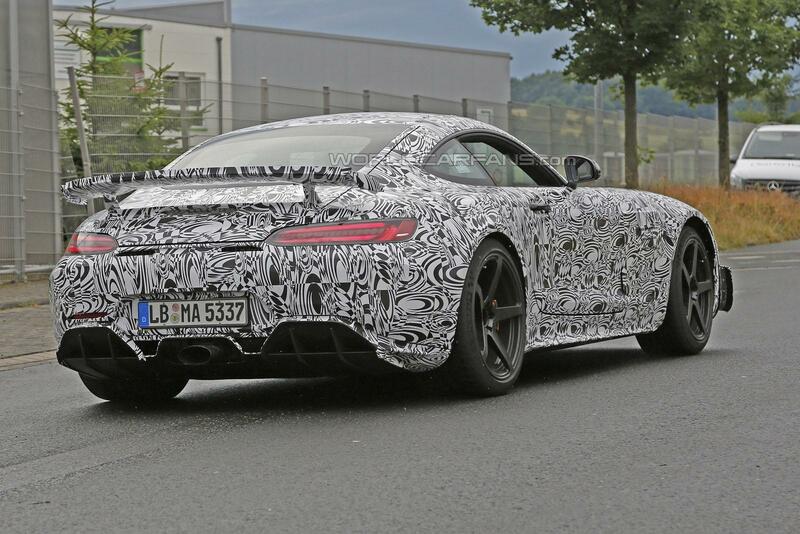 The 2017 Mercedes-AMG GT R will come with track characteristics, mainly consisting of a stiffer suspension, updated brakes, wider wheels, improved aerodynamics and so on. 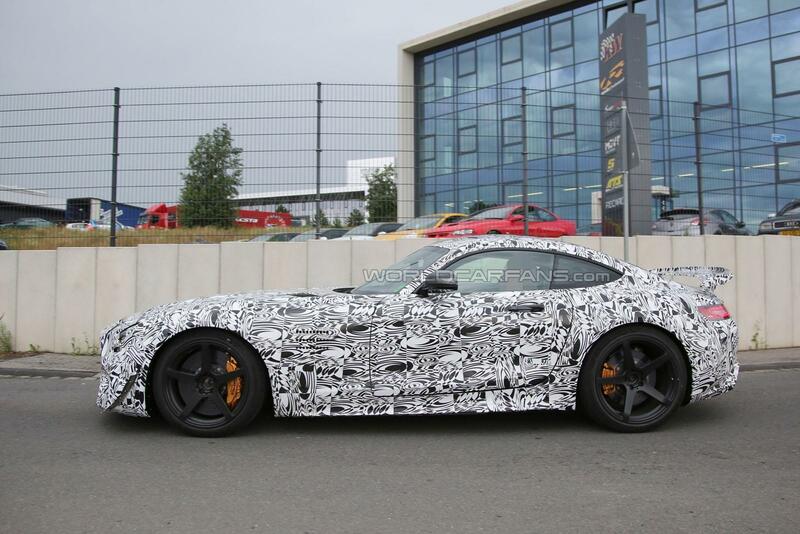 Performance wise, the 2017 Mercedes-AMG GT R will lose around 100 kg, which will offer improved power under the hood. 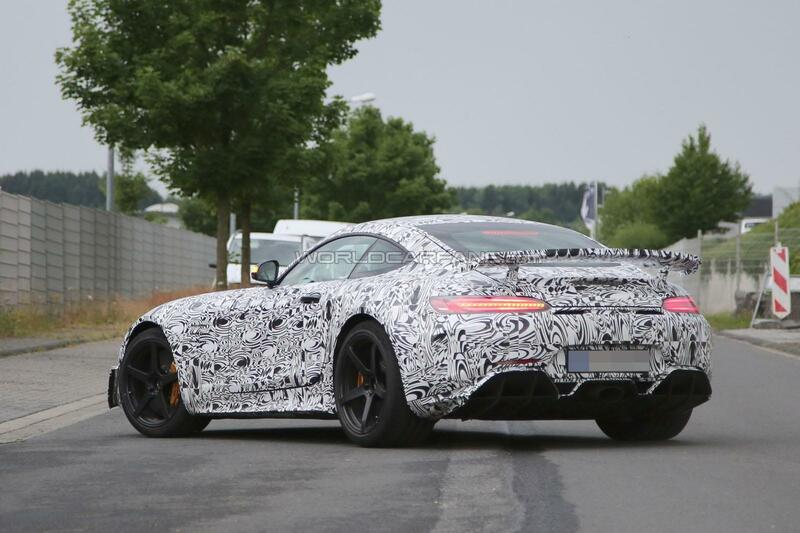 Speaking about performance, the new AMG GT R will come with an upgraded 4.0-liter V8 twin-turbo engine, developing 550 horsepower. 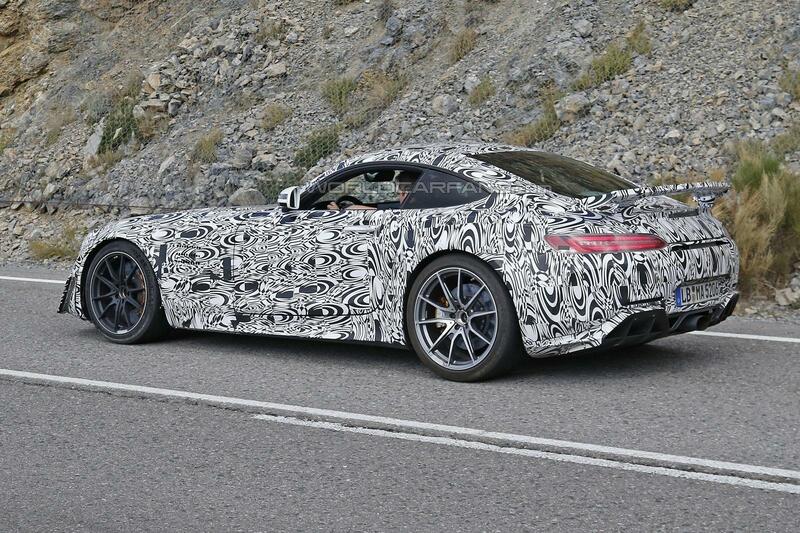 This would be enough to be quicker than the GT`s stock 3.6 seconds, expecting a 0.2 second drop. 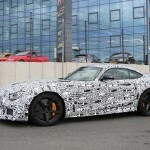 Unfortunately, there were no figures revealed by the carmaker. 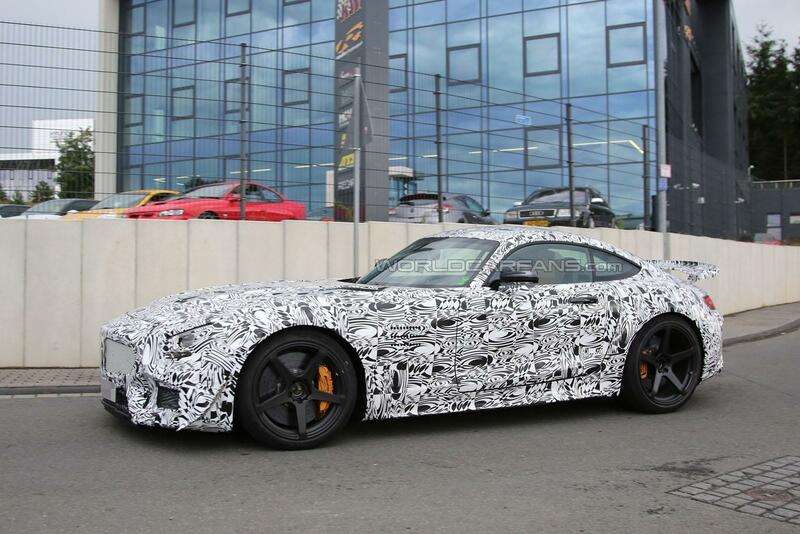 The 2017 Mercedes-AMG GT R will stand above the GT S, becoming thus the top of the line version from the entire GT lineup. 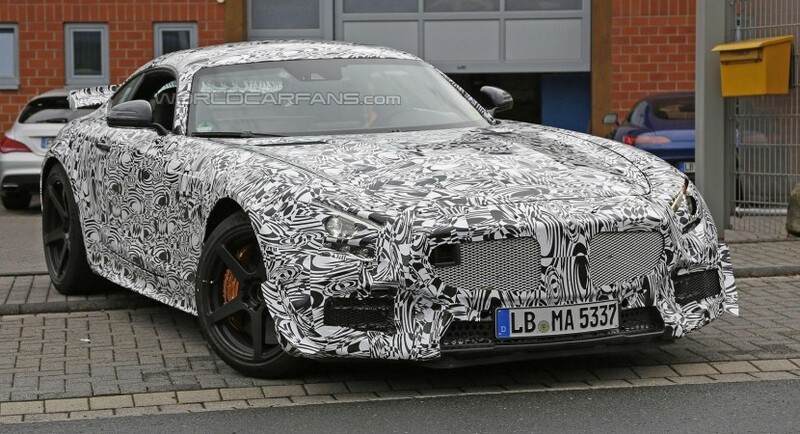 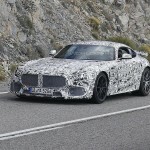 But The GT R will not be the crowned king forever, as the German based carmaker is also planning a high-performance Black Series version, which might see the daylight somewhere in 2018.